A true fashionista must have a huge collection of clothes and Barbie has collected all that she ever bought and wore. Barbie does not believe in out of fashion clothes. She always creates new amazing outfits using her clothes which are not considered to be trendy. Today she would like to reuse her so called “childish” clothes and create some cute new outfits. She has a collection of oversize shirts, dotted dresses, tops and pants, Disney world print cute t-shirts and dresses as well as outfits used for sleepover parties. All these clothes are going to be reused today by you.. Your goal is to create new looks for Barbie! 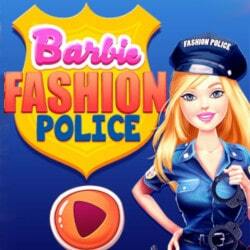 Have with this Barbie dress up game! Barbie’s Childish Outfits is an mobile game and it’s playable in browsers such as Safari and Chrome. You can play the game on smartphone and tablet (iPhone, iPad, Samsung, Android devices and Windows Phone).